Element and Uptake - a leading provider of industrial AI and IoT software - are partnering to create an AI solution for industrial business. 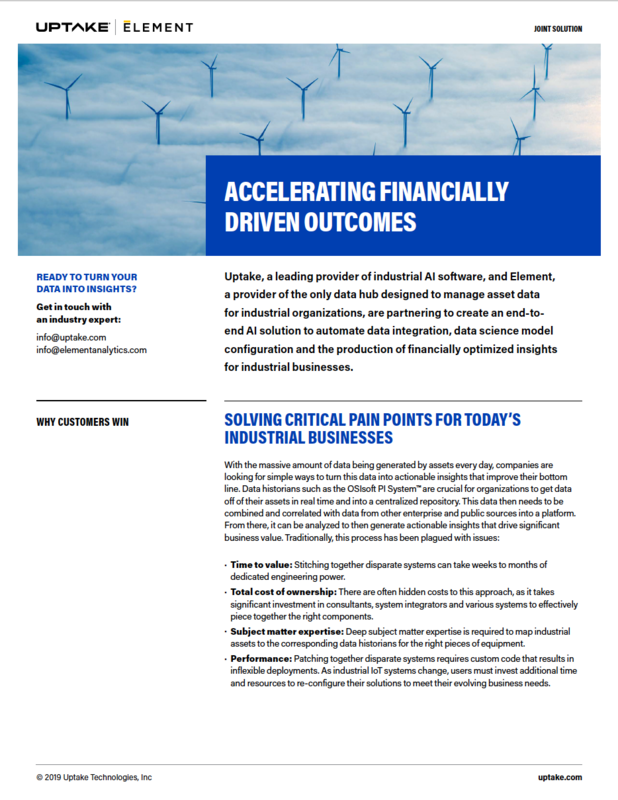 The solution automates data integration, data science model configuration and the production of insights that detect and prevent failures and trigger work orders. The Element and Uptake joint solution is the only one on the market that can deliver insights from asset to data science analysis seamlessly. Complete the form to learn more about the Element and Uptake joint solution.